As I said in an earlier post, I’m revamping and rethinking some things on my blog. I did my first Throwback (Flashback Friday) post a few weeks ago and truly enjoyed it. It gave me an opportunity to think, focus and reflect on happier times in my life. Not that I’m not happy now. Perhaps I should say a more carefree time in my life. You know the time when all you had to worry about is if that boy (or girl) liked you and if you wanted to buy something you went to mom and dad and asked for it or the money to go buy it. Sooo, I’ve decided to make this a regular feature. And, here we go. 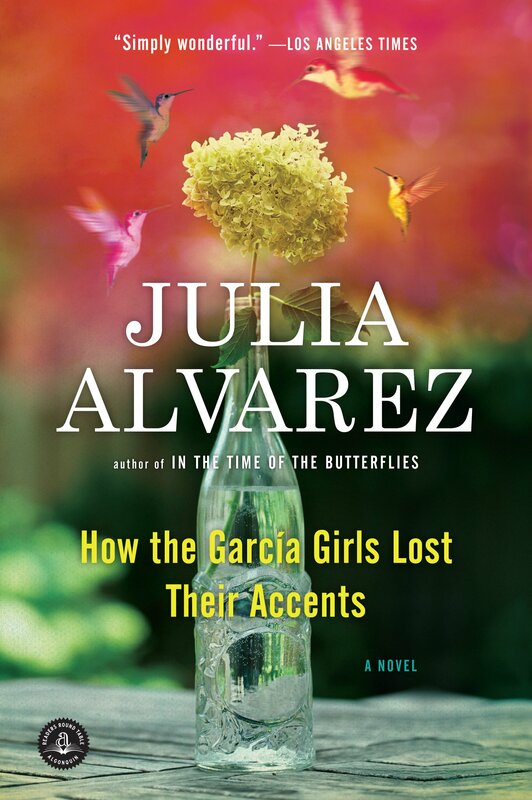 How the Garcia Girls Lost Their Accents has been on my TBR for a few years. If I’m not mistaken I have the eBook. Synopsis: In this début novel, the García sisters—Carla, Sandra, Yolanda, and Sofía—and their family must flee their home in the Dominican Republic after their father’s role in an attempt to overthrow a tyrannical dictator is discovered. They arrive in New York City in 1960 to a life far removed from their existence in the Caribbean. In the wild and wondrous and not always welcoming U.S.A., their parents try to hold on to their old ways, but the girls try find new lives: by forgetting their Spanish, by straightening their hair and wearing fringed bell bottoms. For them, it is at once liberating and excruciating to be caught between the old world and the new. How the García Girls Lost Their Accents sets the sisters free to tell their most intimate stories about how they came to be at home—and not at home—in America. I had a really hard time choosing the movie for this Throwback Thursday. There were so many that I really enjoyed. I had to go with My Cousin Vinny because this was one of my favorite scenes. Houston’s recording is not the first, but I loved her 1992 release of it. I Will Always Love You was written and first recorded in 1974 by the legendary Dolly Parton and then again in 1983 by Kenny Rogers.